Just thought I would post a little about what is going on with me right now. Ok Lets see where to begin. I have been using adhesive on a daily basis at this point. I am hoping that on my next appt on 5-24 that I will get another soft reline so that I might not have to use the adhesive so much. I am having no problems speaking whatsoever. Eating is going pretty good. I can eat just about anything I want. I havent tried any tough meats though. I can bite into sandwiches, muffins, pastries, hotdogs, hamburgers, etc. Chewing is not a problem at ALL. I am still getting used to the biting thing, I am afraid that it might pop my denture loose but I havent had it happen just worried sometimes. I even found out that I can whistle. It was a total surprise. Went to call my dogs inside wasnt thinking, called them and whistled. Surprised me when a sound came out. I just stood there and thought WOW I just whistled. lol Its so strange sometimes the smallest things feel like such big accomplishments. My children look at me like I am nuts sometimes. The first hamburger with bun that I completely ate, I was going around the house telling everyone LOOK I cleaned my plate lol. I think the strangest thing for me so far is giving my own mother advice about dentures and adhesives. She had never tried the powder, after I told her all my experiences she said she was running to Walmart to get her some lol. I am hoping that my words on this site will offer some insight as well as a understanding that dentures are not something to be ashamed of. Its proof that you care enough about yourself and your health to better yourself. Lets see what else, Oh I dont know if I have posted this anywhere else on my site but kissing is a real learning experience. My husband and I had been lip kissing since I got my dentures. I finally told him that I wanted a real KISS. I tried to explain to him that he wouldnt run into anything strange or unusual that it all feels natural in there. He was a little skeptical but went ahead. Well let me say he doesnt hesitate in the least now lol. I do have to tell him from time to time not so hard. What i mean by that is the gums are still healing under the denture so when he tries to kiss me sometimes he presses into my face a little too much and pushes the denture against those gums and its a little tender. SO if I know things seem a little tender when I see him lean in I tell him so and he is easier so as not to hurt me. Its a learning process for us both I think. But I can say WE are adjusting very nicely I think. One thing I had to really work on were my children. They were proud of their Mom's new smile but didnt really know how to express it. I was in the store with my daughter and a lady that I know pretty well said hey. My daughter pipes up "Did you see my moms new plastic smile." That was a little rough to deal with but she didnt mean any harm. I didnt say a thing just smiled real big at the lady. She smiled and started talking about everyday things. So it went over well and now the kids dont think twice about my smile. Only time it is mentioned is if I am walking around without my denture and one of them notices. They will say you dont have your teeth in huh mom? But other than that its like I have always had these teeth lol. 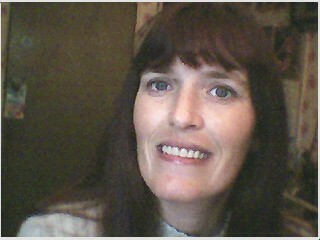 I havent felt comfortable just yet letting my hubby see me without my teeth. I did ask him the other night if he wanted to see the denture, I was brushing it at the time in the bathroom. He told me thats ok I will wait til you put it back in and see then. I totally respect him for being honest. I just wanted to let him know that if he was curious, I was not hiding and would show him if he wanted. I am not in any pain at this point. I have one small complaint but I am dealing with it til my dentist appt. My healing gums have shrunk so much that the top of the denture is right where the top lip meets the gum. From time to time it rubs a little and gets a little sore. I am going to tell the dentist, maybe he can trim them down a little at the top. Hubby offered to whittle it for me lol. Joking of course. Cost to much to replace them for me to try to adjust them myself lol. Well I guess thats about all I have to say right now. I will be posting an update after I see the dentist on 5-24 and let everyone that is following along how it goes. OH I almost forgot the funniest thing happened on Friday 4-30. I was going to town to pay bills, get some groceries, window shop, meet my hubby for lunch etc. Well I had been soaking my denture. I wanted to wait til right before I left to use the adhesive so I knew it would stay all day. Well got my house cleaned. Got dressed, put on makeup, did my nails. Got my things together. Going thru a mental check list. Ok I have my purse, my keys, my grocery list, bills I need to mail, library books to take back, sunglasses. Ok all set headed for the door. Paused ok am I forgetting anything? Oh My goodness I didnt have my teeth in. I about fell over laughing at myself. At least I realized it before I left the house lol. Had to run back in the bathroom and pop my teeth in lol. Just thought was the funniest thing had to add it here lol.